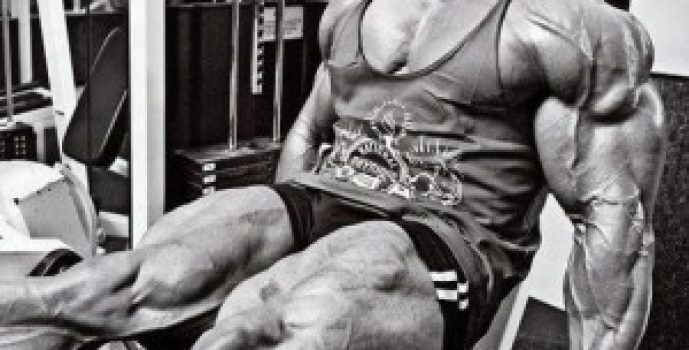 Building massive tree trunk legs doesn’t come easy for most people. Most of the guys you see with massive, crazy huge legs are usually blessed with amazing genetics, or using anabolic steroids. Don’t compare yourself to the genetic elite or steroid user, focus on best results for you. Genetics aren’t everything though. Us genetically average guys are still able to build impressive muscular legs with the right training and nutrition plan in place. The best workout to build big legs will combine a lot of heavy lifting along with various exercise variations for the best possible results. There really isn’t any other single exercise better for building big legs than the full back squat. Nothing even comes close to working all of the muscle fibers in your legs than a squat. Squatting isn’t just great for building your legs though. It also forces your body to release more growth hormone and testosterone which is great for building and all worked muscle groups on the body. Popular exercises for isolating leg muscles include leg extensions and leg presses. These are typically most effective when combined with the big compound exercises listed above. In general, leg presses and leg extensions alone are efficient exercises for building big leg muscles. They are also very useful exercises if injury prevents you from being able to hold a bar or perform heavy squats. You can use a leg press strength calculator to convert the amount of weight you normally squat to the amount of weight you should be pressing. Machine leg extensions – 4 sets, 10 – 15 reps each. Split Squats – 3 sets, 8-10 reps each. Leg Press – 4 sets, 6 – 8 reps each. Front Squats – 4 sets, 8 – 12 reps each. 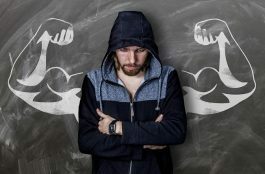 Of course like any bodybuilding routine, what you eat is going to play a huge role in how much muscle mass you can gain. You must consume more calories than you expend in order to build muscle. In general you can expect to gain 1 pound per week if you eat 500 calories per day more than you expend. If those are quality calories (not junk food) you can expect almost all of that weight gained to go directly into lean muscle mass. Protein – 1 gram per day per pound you weigh. Carbs – Consume complex carbohydrates from sources such as rice, pasta, granola and oatmeal. Simple carbs consumed pre workout. Healthy Fats – You can find healthy fats in foods such as nuts, eggs, fish, and flax seeds.